If not, you can get creative with our Juice Baristas and come up with your own unique combo. Along the way, we look forward to not only creating unique and delicious concoctions that will tickle your taste buds, but also promoting a healthy lifestyle for the generations to come. Our Juice Baristas are always happy to accommodate your every needs and our info@juiceworks.com.my is always available to address any concerns and questions. Juice Works specializes in creating fresh fruit juice and smoothies that not only taste great but is healthy. 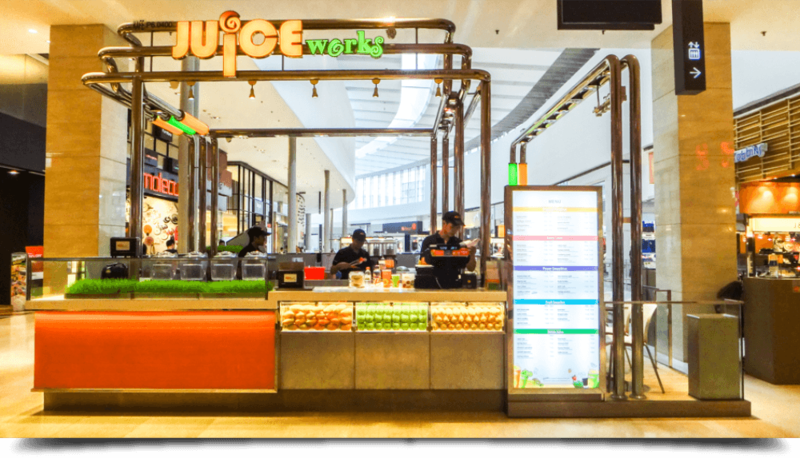 Our juice stores can be found in major malls in Kuala Lumpur Malaysia. Address: K-01-05 & K-L1-06, Gamuda Walk, Kota Kemuning, Section 13, 40460 Shah Alam, Selangor, Malaysia.